The last few days have been spent thinking a good deal about how to listen to God, how to know what He is saying, and how to act through the Spirit, rather than the flesh. I struggle with it often, mostly because I am afraid of messing up, and it's in those moments when the Lord presents Himself to me in a way that, too often, I miss entirely. He is Love. He is not fear. He is Grace. He is not condemnation. 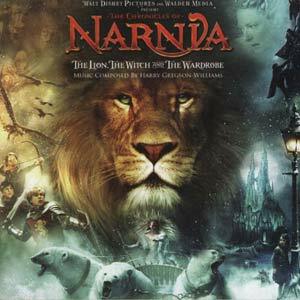 How many of you have seen The Chronicles of Narnia (any version)? Have you read them all? Do you know about C.S. Lewis? If you answered no to the questions above (gasp! ), let me enlighten you a little (oh, you didn't know you were going to get a history lesson today?). C.S. Lewis, commonly known to his friends as "Jack", was an Irish author most famous for his work The Chronicles of Narnia, seven tales of adventure in the land of (you guessed it) Narnia. In chronological order, the first book, The Magician's Nephew, depicts the "founding" of Narnia, which is basically a magical land that exists simultaneously in another dimension entirely separate from the "real" world. I won't go into plot, characters, and storylines here (simply because you should just go read them =), but Lewis' work (as well as the work of his friend, J.R.R. Tolkien...author of Lord of the Rings) is basically Christian allegory. Aslan the Lion is none other than Jesus Christ. The stone table upon which he sacrifices Himself is a depiction of the cross and the blood that was shed for us to be saved. Peter, Susan, Edmond, and Lucy are all of mankind: chosen ones who allow themselves, despite their doubt, fear, or uncertainty, to be used by Aslan to reveal His unparalleled glory and goodness. Lucy: "Aslan, will we ever meet with you in our world?" Aslan: "Because there I have another name. You must learn to know me by that name. This was the very reason why you were brought to Narnia, that knowing me here for a little, you may know me better there." I was moved to tears during this scene, and let me tell you why. First, it reveals the truth that God is always with us, wherever we go. If we can't see Him, it's not because He isn't there. We are often blinded because we are limited in this body, limited by what our minds cannot comprehend. Aslan tells Lucy that He is known by another name in our world, and we know that that name is Abba. Father. Christ the Lord. Second, I am overwhelmed by the beauty of Lewis' work. Even if you are not a believer, I urge you to take the time to read his stories. They are exquisite and old-fashioned, which I love. Lewis' wrote them in the 1940s, an era I wish I could visit just once. Modern fairy tales and fantasy novels seem to lack a certain substance (with the exception of Harry Potter...Rowling is right up there with Lewis as far as I'm concerned), as though they're trying to take the ingredients from an original recipe and mix them up to create something new. Instead of a fresh and updated twist on a traditional dish, many times what I am presented with is mush. And I so want to get caught up in the story and love it! I want to get whisked away and forget where I am! I do! I do! But it takes a special person to write like that, and the market is being flooded with vampires and fairies and elves and every other fantastical creature. How much of it has that "je ne sais quoi"? The few authors who do have mastered it and, I hate to say this, but other good writers are trying to do what has already been done simply because it's popular. Where's the heart? Why aren't they writing what they absolutely have to write? Why aren't they writing what they can't go to sleep at night without thinking about? C.S. Lewis wrote about Christ because he couldn't help himself (take a look at his autbiography and you'll see what I mean). Here's the thing about fantasy (and I'm no expert...this is just my opinion): if you're going to write it, it has to be original. It's not chick lit, it's not women's fiction, it's not crime, it's not historical drama...it's fantasy. It's a work completely and totally of your own imagination. Other genres can use similar elements and come out looking brand spanking new, but fantasy, in my experience, is a whole other world entirely (no pun intended). Think Star Wars. Had you ever heard of anything like it beforehand? No. Will there ever be anything like it again? No. Why? Because it was truly an original piece of art. C.S. Lewis did the same thing with his Chronicles. Of course, in Lewis' case, his writing was based not on fantasy, but on the Truth of God's Word. But he presented it in a way that would appeal to others beyond the rules of religion and, by doing so, created a new way for the world to share in God's grace. So did J.R.R. Tolkien. And then J.K. Rowling came along and used our own human struggles to help us connect with the life of a young boy named Harry Potter (Is anyone else seeing a pattern here? Maybe we should initial our names and then we'll be great fantasy writers too!). When I sit down to read these books, I am transported. I am nameless. I am there and nowhere else. Trains can go by and I won't hear them. Mosquitos can buzz around me and I won't swat at them. I know that when I crack open a book and don't hear the "bling" of a text message notification, it's gotta be a great read. I've said this before and I'll say it one last time: God has blessed us with passion and a desire to do great things. He has equipped us to succeed. Go after what you love because you cannot help yourself. God's will is for you to bring glory to Him by using the talents He has given you. If you allow Him to work in your life, I promise that you will not be disappointed.